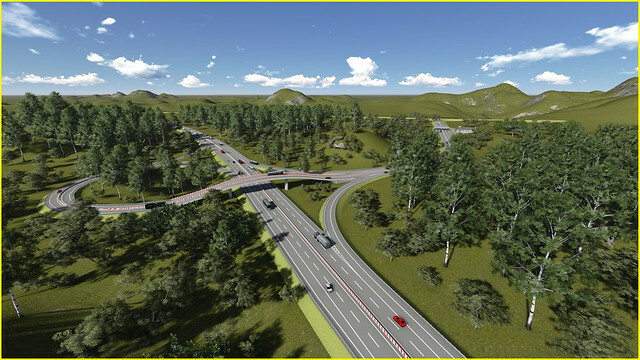 Hanoi – Lang Son Expressway Project is designed in accordance with the expressway standard class A with four lanes, designed speed is 100-120km/h. The expressway’s starting point is at Km1+800 in Lang Son City which is 1.8km far from Huu Nghi Border Gate. The ending point is Nhu Nguyet Bridge at Km131+000 of Bac Ninh Province. Total length of the project is 129Km, including 109Km of new expressway and 20Km of existing National Highway No.1A. There are 01 huge bridge crossing river and 01 tunnel in route. – Provide national specialists for preparation of detailed design. – Implement topographic and hydrologic survey, material sources and public survey. – Implement soil investigation for section Km28+500 – Km45+100. – Prepare bidding document for constructing and installing equipment for all packages of the project.